If you are the proud owner of the Samsung Galaxy S3, you will no doubt be aware that the Android smartphone can be charged wirelessly; however as yet Samsung hasn’t delivered the wireless charging accessory, which is expected to land at some point before the fall. But if you simply can’t wait for that official wireless charging accessory to come along, you might like to know there is one coming from Zens next month. According to an article over on Talk Android, Zens has announced the world’s first integrated wireless charger for the Samsung Galaxy S3, and with the wireless charging solution all the user needs to do is replace the battery compartment door on your Galaxy S3 with the Zens battery door, and the handset will then work with the wireless charging pad. The Zens wireless charging pad comes with the option of a blue or white battery door to perfectly match your Samsung Galaxy S3, and due to using several induction coils in the pad, the handset does not need to be locked into an exact position. For those that own the Samsung Galaxy S3 that would like to get their wireless charging action on, the Zens wireless charging solution will become available from premium retailers and operators at some point in September, and commands a price tag of â‚¬69, which is roughly 85-bucks. 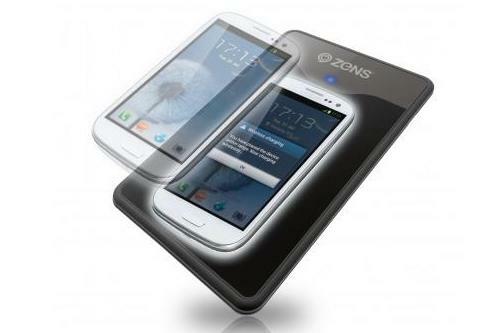 Will any of our Samsung Galaxy S3 owning readers be looking to snap up the Zens wireless charging solution next month? Will it work with back case or we have to remove the back case to charge?